It is one thing to be able to learn or read material and the recite it back from memory on a test, but it is quite another to be able to take that material and apply it. This “extrapolation” is the most in-depth kind of learning, and it is the place where Bader Hillel Academy students test at the top of the charts. All of our subjects, from the Talmudic studies to mathematics and literature require intense synthesis, profound discussion and exposure to in-depth analytics. Even the finest local schools oftentimes struggle in those areas. 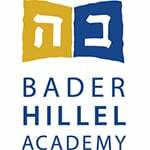 Bader Hillel Academy excels in them.